Prince Harry and fiancee Meghan Markle. Photo from New York Times. Great Britain’s Prince Harry, who is fifth in line to the throne, today announced his engagement to actress Meghan Markle. 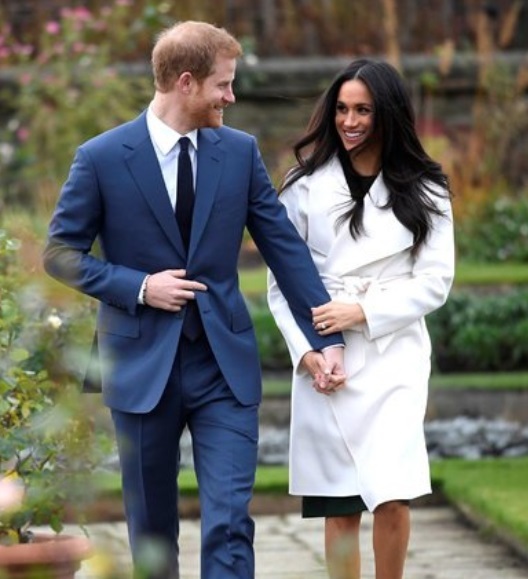 Markle has a connection to social work — her mother is National Association of Social Workers member Doria Ragland, MSW, a social worker and yoga instructor in California. Meghan Markle (right) and mother Doria Ragland. Prince Harry, who was traumatized by the death of his mother Diana in a car accident when he was 12 years old, had a troubled youth but has later become an advocate for mental health awareness. He has taken part in Change Direction, a campaign to educate the public about mental health. NASW is a founding member of Change Direction. Markle’s mother is black and her father, cinematographer Thomas Markle, is white. According to news reports Prince Harry has denounced the intense media coverage surrounding Markle because she is biracial. To learn more about the engagement read this New York Times article.